Would you like to bet on a real-time event while you’re watching it on TV? Sirplay allows it too! Even if pre-match wagering is considered the main way to stake on sports events, live betting has reached good approval by players who want to see their bets settled in real time. 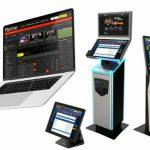 The statistics, after all, speak clearly: the majority of bookmakers reports that today almost half of the turnover comes from the live betting market, so it’s very likely that it will get more importance even further. Although it’s today a common practice and, to everyone, Sirplay ensures one of the most reliable services in the market, offering thousands of events per month based on the main sports categories. The Live Betting module is well acknowledged by players because it gives the chance to place bets at any time and moment, while the match is taking place. Provided with its back-office and management tools, it is offered with great quality and user-friendly interface, thousands of events per month and the best support Sirplay can offer. Last but not least, as all Sirplay’s products, the module is multi-platform, multi-lingual, multi-currency, cross browser and with a customizable interface. View Live BettingRequest a demo!